when it comes to finishing touches, we have you covered. With over forty years of experience, we know a frame can breathe new life into an old piece, can make a new piece sing and can pull a design scheme together. Art Resources GALLERY has a talented and experienced TEAM. 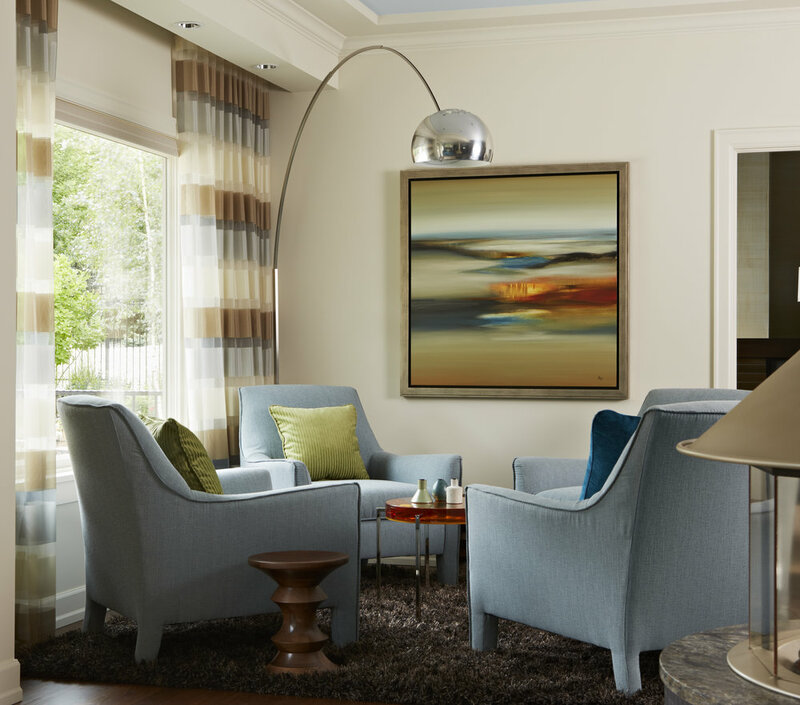 WE WORK WITHIN YOUR VISION AND BUDGET TO SELECT ARTWORK THAT BEST REFLECTS YOUR PERSONAL AND/OR PROFESSIONAL STYLE. WE CARRY EVERYTHING FROM CONTEMPORARY ABSTRACT PAINTINGS AND SCULPTURES TO VERY TRADITIONAL LANDSCAPES AND STILL-LIFE COMPOSITIONS. STILL NOT FINDING WHAT YOU ARE LOOKING FOR? THAT’S OKAY! WE CAN FACILITATE THE COMMISSION PROCESS BY WORKING CLOSELY WITH THE SELECTED ARTIST TO CREATE THE PERFECT WORK OF ART FOR YOUR SPACE. dID YOU FIND SOMETHING YOU LIKE BUT YOU’RE NOT SURE HOW IT WILL LOOk in your space? we have the solution. all of our artwork can go out on approval which allows you to see pieces in your space before committing. EASY PEASY! WE LOVE IT WHEN OUR ARTWORK FINDS IT'S PERFECT HOME. Scroll through to see some stunning shots of our art installed.